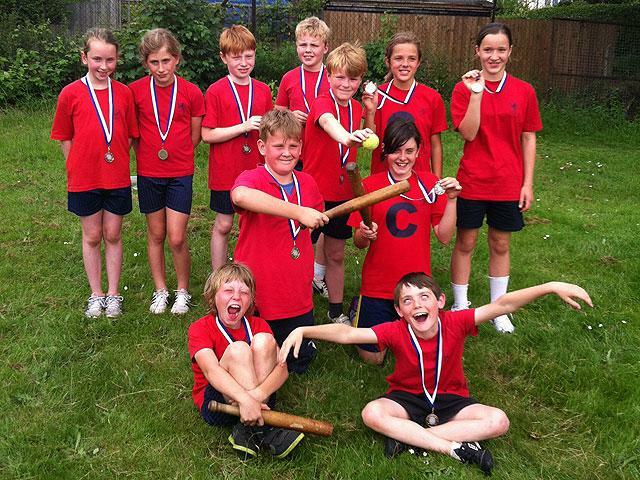 The Year 5’s in Collis Primary School went to Waldegrave School to take part in a year 6 rounders tournament. Our first game was against Sheen Mount and we won 11 rounders to 4 ½ rounders. Our following game (against Stanley School) was a good game for Collis Primary School; we won 8 ½ to 1 ½. That game brought us through to the final against Saint Mary’s with an unfortunate defeat of 7 ½ to 3 ½ but we at least came 2nd . It was a great tournament and Collis Primary School almost claimed the prize again but we at least got runners up.